Matt’s parents taught him the key to any successful relationship is honesty and clear communication – principles that guide him, everyday, both personally and professionally. Matt’s deep understanding of multiple real estate markets doesn’t end with downtown Vancouver and the North Shore. His expertise extends beyond, and includes New Westminster, Coquitlam, Port Moody, Burnaby, Tsawwassen, and Richmond. 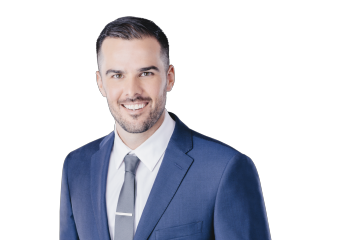 Matt has the knowledge and geographic reach to help his clients find the perfect property – whether they are looking for their first home or an investment property. A fast-paced industry with large transaction values, real estate can be stressful for both Buyers and Sellers. A calm demeanor combined with strong negotiation and effective communication skills are just a few of Matt’s strengths that serve his clients well while reducing anxiety for everyone involved. Matt is well organized, detail oriented, and committed to building strong relationships. He loves working with his clients, walking them step-by-step from start to finish – demonstrating patience, understanding and a willingness to go the extra mile at every turn. He is driven by a simple but powerful motto – be respectful, be responsive, and always deliver on your commitments. And if you ever need help with your golf game, Matt should be your first call. Matt Ayres is by far the best real estate agent I have worked with. He took the time to really understand our wants and needs for a new home, and was tireless in finding options. I really appreciated his honesty and clear communication throughout the process. It was great to be guided through the challenging Vancouver market by a professional who was consistently looking out for our interests, and never pressured a sale. We recommend him without reservation to our friends – and would never think of working with anyone else if we decided to change homes in the future.